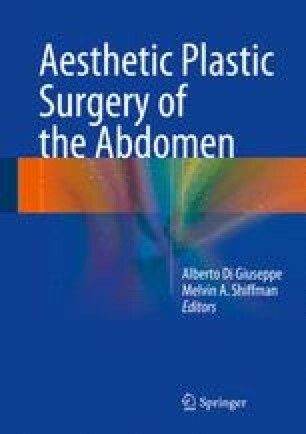 Abdominoplasties performed in patients that have previously undergone bariatric surgery, with great secondary weight loss, present high levels of intra- and postoperative complications. Among these complications, the most “feared” one is certainly the increased bleeding observed in these patients when compared with patients who never presented history of obesity. Specific papers of international literature show that this major bleeding observed while performing abdominoplasty in these “ex-obese” patients is not due to vascular tissular/anatomic alterations or changes in blood coagulation (hemostasis) and point to the real cause of this “dreaded” complication. Souto LR. Study of hemostasis in patients undergoing plastic surgery with and without a history of previous bariatric surgery. In: Doctoral (PhD) thesis. Faculty of Medical Sciences (Faculdade de Ciências Médicas – FCM)/State University of Campinas (Universidade Estadual de Campinas – UNICAMP), Campinas; 2009. p. 371. http://www.bibliotecadigital.unicamp.br/document/?code=000471892. Accessed 2/1/15. W.H.O. – World Health Organization – Obesity and overweight. Fact sheet N°311, 2014. http://www.who.int/mediacentre/factsheets/fs311/en/. Updated August 2014. Accessed 2/1/15.